Prisoners of the Sun (Original: Le Temple du Soleil) is the fourteenth comic of the Adventure of Tintin series. The comic published weekly as a second comic of newly established Tintin magazine from September 1946 to April 1948. The comic is sequel of The Seven Crystal Balls. Professor Calculus has vanished. 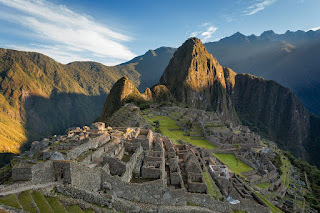 His disappearance is certainly connected with an ancient curse of the Incas, and the trail leads to Peru. But everyone fears the vengeance of the Prince of the Sun and only Zorrino, the young orange-seller, will help them. High into the Andes they go, but the perilous journey ends in a dungeon and the prisoners face a hideous end.